Find out how these businessmen represent their respective generations and market group. Cebu is not only known for its numerous historic sites, the province is also noted for its unique restaurants. Entrepreneur.com.ph met three entrepreneurs who are dominating Cebu’s local food scene. Coincidentally, these food businessmen also represent three age groups. Read on to get insights from their food entrepreneurial journeys. When Manny Osmeña put up Ibiza Beach Club, he wanted to build something that offers “lifestyle dining plus unrivaled entertainment.” Now, after more than three years, he said he has already attained return on investment (ROI). Nevertheless, the restaurant-lounge bar has also helped his re-launched hotel-resort Movenpick Hotel Mactan Island Cebu gain popularity among tourists. Whenever someone asks Osmeña why he did not put up a finedining restaurant instead, he has a standard answer: “Because the idea is to give you the best quality comfort food.” He said this makes the guests eat freshly cooked signature dishes without limit every day. Contrary to what many may initially think, Ibiza Beach Club is an original restaurant-lounge bar conceptualized and developed by Osmeña himself. In fact, he has already filed copyright for it in 19 countries, including Spain, where Ibiza is a popular beach island. Ibiza Beach Club was carefully designed and constructed to facilitate an ultimate outdoor club experience. It is distinguished for its wooden beach deck overlooking the vast sea where guests can spend lavish afternoons and sophisticated cocktail evenings, the Ibiza-style. Osmeña said this business is different from his other ventures. 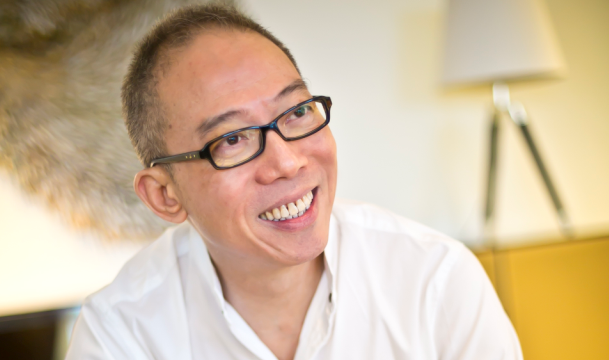 The 63-year-old businessman is so passionate about this one that aside from being around most of the time (after all, he lives within the hotel-resort’s vicinity), he has plans of bringing the brand to other parts of the world. But he said he will begin doing that by first bringing the Ibiza Beach Club to Metro Manila. In an interview with Entrepreneur.com.ph, Osmeña said his team is already working on putting up a location somewhere in Bonifacio Global City, Taguig. Those who want to experience the Ibiza Beach Club can look forward to its second location in September this year. Jan Rodriguez started to have his own family when he was 21. Being an IT expert, it was only logical for him to put up an Internet café to be able to support his wife and son through a steadier income. But the business did not do well and had to fold up. Fortunately, he got an offer to work in an IT consulting firm in the US.But after two years, he decided to come home for good and find opportunities in the country so he would not have to leave his wife and son behind. That was the time he thought of capitalizing on his passion for cooking. Although he had no culinary background, Rodriguez said he was confident of the cooking skills he learned through constantly watching Food TV Channel. His first food venture was a small carinderia (eatery) in a 35-square-meter location, which used to be an Internet café. The business offered only two types of dishes: “silog” (fried rice and fried egg) meals and Peking pork. After three months, he decided to expand his menu and convert his food joint into a restaurant (using a name that refers to his childhood nickname, “Puti”). It was in 2007 when Ilaputi transferred to its current location in Cebu City’s IT Park. Rodriguez said he is the hands-on type of entrepreneur, but he has eventually learned the value of designation. Aside from his 34 restaurant employees, he also gets assistance from three office workers, an external auditor, and his wife, who takes care of the business’ HR needs. “I do a lot of thinking and sitting,” Rodriguez said when asked how he does it being a busy entrepreneur. Now at 41 and a dad to four kids, he said he and his wife continue to run and grow one of the most popular restaurants in the province. 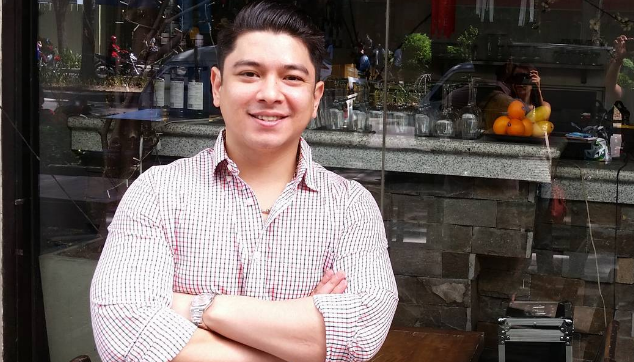 After opening Ilaputi’s second location within the capitol proper, he said there are also plans of bringing the restaurant to Metro Manila within the year. They are even working on developing the business into a franchise concept by the second half of 2016. Coming from a family of successful businessmen, it does not surprise that Anton Aldeguer would also get himself immersed into entrepreneurship. His father is the man behind the most popular souvenirs for tourists brand in the country, while his grandfather is a known restaurateur in Cebu. Moreover, Aldeguer certainly got hands-on training from his family. He said his training in thefamily business started when he was 7-years-old. When he was 19, he and his friends launched a business that made socks, but that did not succeed. The 22-year-old entrepreneur now manages Hala Paella, a small food joint selling delicious variations of the Spanish dish paella. He said he co-owns the business with his grandfather, who developed the dishes. As the manager, the young Aldeguer said he takes care of sales and marketing efforts of the business. “I find inspiration from Panda Express and Chipotle, restaurant [chains] in the US that are not actually owned by [Americans],” he said. Aldeguer said he has always been confident that local foodies would love the main Spanish dish (paella) they serveas it is a rice-based specialty. To ensure the success of Hala Paella especially among the younger consumers, Aldeguer made sure most of the items in their menu would cost below P100 ($2.16). “Our food is also Instagrammable and hip,” he said. As a millennial himself, Aldeguer knows the importance of social media when it comes to promoting a business. But he said it also comes with difficult challenges. For one, no business is spared from bashing. Now, the entrepreneurship student from the University of San Carlos in Cebu City is logically ready to further take on bigger challenges. After recently opening the second branch of Hala Paella in a mall, he is also open to the idea of bringing the brand to other parts of the country. 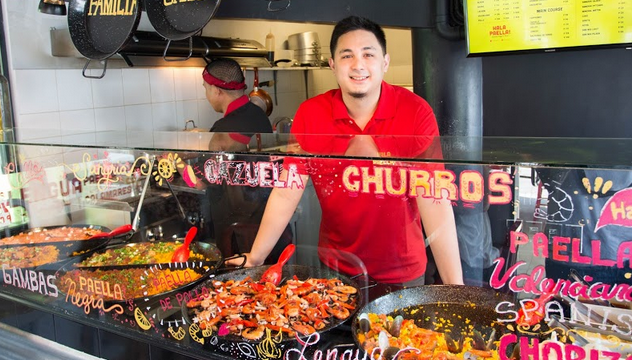 When asked about the best business lesson he has learned so far, Aldeguer said, “Give the best product and the best experience.” He said he wants Hala Paella to be not onlya hole in the wall but also a full-pledged restaurant for the entire family in the near-term.